It was bugging me. Bugging me a lot. Everytime I opened the closet door to try to get something out it seemed to be a jumble. It was bugging me, bugging me a lot. It was time to do some clutter clearing. What was bugging me was a feeling that was telling me that the vital Feng Shui energy called Ch’i was out of balance. It was depleted and stuck and stagnated. It didn’t feel right, and it didn’t feel good. I’m always asking my clients and myself, “How does it feel?” That “feeling” is our intuition reading, sensing, measuring the level of energy around us. It’s a natural human reaction. We all have our own barometers, our measuring system. What’s stuck for you may be heaven for me. The key is to listen, sense and feel what the energy of your home is telling you. The ultimate place of Feng Shui harmony for human beings is being immersed in a balance of energy that puts our nervous system at rest. 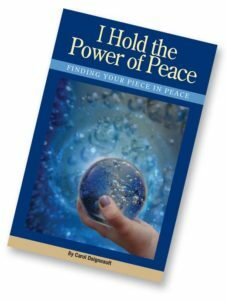 Calm and peace are the goal, so when I opened my closet, it was nothing but angst and resistance and distress. Yuck. 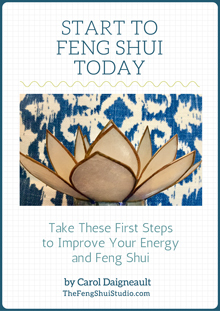 The Feng Shui remedy is to sort, cull and organize. Heaven. In Feng Shui, our homes express who we are. I was feeling tentative, uncertain and confused by my next steps in life. There had been a few roadblocks during the summer that had slowed down my flow. A mostly intellectual approach was not improving my dilemma. It was time to look for aFeng Shui approach. You may think that a Feng Shui practitioner always has a pristine, totally harmonious home with perfect Feng Shui. Although I strive for glimpses of this ideal, there are times that my environment is giving me messages I’d rather not see. The closets were one. So that I could experience some immediate success, I started with a small linen closet with only a small amount of items. Everything came out. As I pulled each item from the shelves, piles began to form. Within 10 minutes I was folding and reorganizing blankets, towels and making choices of where things could go back on the shelves. Ah…….talk about feeling like a big shot! I could already sense the heightened Ch’i. There was a sincere satisfaction and ease when I glanced back at the shelves that held only what I needed and made each item easy to retrieve. You could get this same buzz from tackling a drawer, one cupboard or a bookshelf. All you need to do is start. I’m a game player. I like board games, card games and other things that challenge me to reach a certain goal. If you fall into this category, here’s a clutter clearing trick to try. After my first, smaller closet I moved on to a bigger closet – the Master linen closet. It held an assortment of several different sized items that weren’t as easy to organize. The end result was less clear. Setting a timer for 30 minutes (the amount of time I had decided to devote) gave me an incentive to get right to work. It quickly became apparent that only one or two sections of this larger closet would fit nicely into the half hour time frame.The choice was made and the sorting began. The timer also kept me honest. No trying on some of the clothes or futzing around with making the hangers match would fit into this abbreviated schedule. It kept me on task. Any larger project you have can be divided up into these smaller segments. Try a series of 15, 30 or 60 minute blocks to clutter clear your garage, attic or basement and you’ll be amazed and impressed by your progress when you string just 4 or 5 short sessions together. It works for me! What area is bugging you most that you’d like to get to work on clutter clearing? Do you have a yard sale you’d like to prepare for? 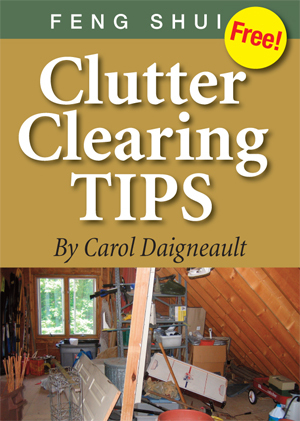 If your list of places that need to be clutter cleared cover multiple locations throughout the home, you may want to download a free copy of my Feng Shui Clutter Clearing Tips to get a bit more background on how to tame your clutter. Wherever you are with the process, I hope that you are able to enjoy many happy days in a peaceful, beautiful Feng Shui home you love.